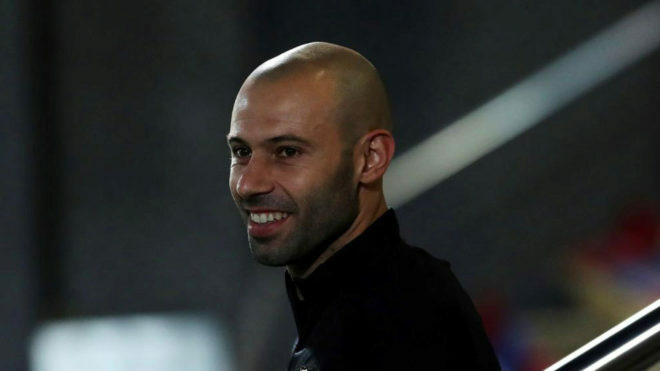 Before Javier Mascherano departs to Chinese side, Hebei Fortune, Barcelonahave announced in a statement that they will honour the player with an institutional farewell on Wednesday. The event will take place at 11:00 am CET in the Auditori 1899, an annex to the Camp Nou, and it will be attended by the president and the rest of the staff. In addition, the Argentinian will have the chance to say goodbye to the supporters during the Copa del Rey match against Espanyol on Thursday. “El Jefecito’ play some part in what will be an emotional game for him.